With warm weather finally here, we can all start planning what crazy adventures we’ll get up to this summer. 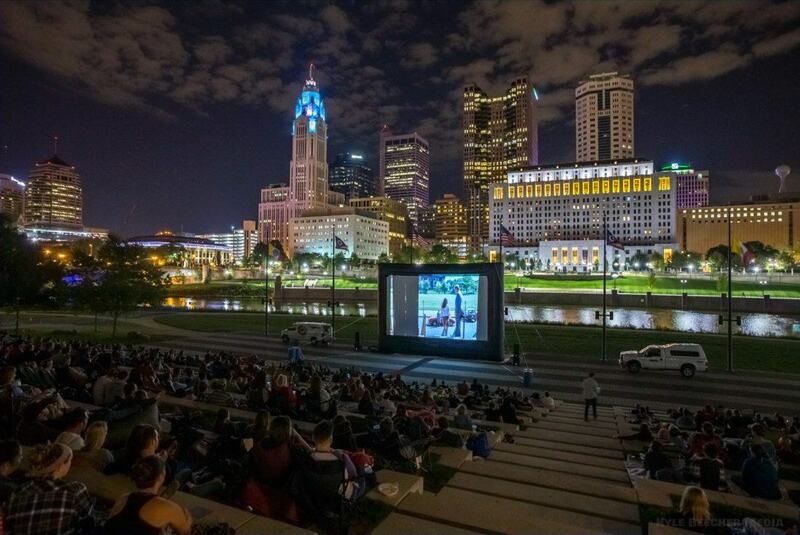 On selected Thursday evenings, I’ll be heading down to Genoa Park for one of my favorite Columbus summer activities: NightLight 614. The summer movie series will kick off on June 20 and run through October. The season is divided into two parts, and the lineup is tugging at my 2000’s-loving heart. Sadly, season passes are already sold out. But don’t worry. General Admission tickets for Season Part 1 will go on sale Thursday, May 2, 2019. Mark your calendars, because they will go quickly. General Admission tickets are $9 in advance or $15 the day of, but there’s no guarantee that it won’t sell out. In order to enjoy a night under the bright lights of downtown C-bus, you should bring blankets, pillows, or chairs that have a low back. Food Trucks like Mikey’s Late Night Slice, Hai Poke, Barroluco and more will be on hand to save you from any mid-movie munchies, and you can grab craft beer and wine onsite. This event is 21+ only, so if you have kids, be sure to get a babysitter! For more info about NightLight 614, you can check out their website.